Termites are a major source of risk for the global construction industry, costing billions of dollars in damage to both small and large-scale projects. Termite infestations are considered a high probability in some of the largest population centres of the world, namely the US and Mexico, Africa, most of South America, southern Asia and Europe, and throughout Australia and the Pacific Islands. In the US, the most affected areas include the warm-climate southeastern states, California, and Hawaii, with regions of the central and northeastern US also highly affected. In Australia, much of the highly-populated northern, eastern, and southwestern parts of the country are at high risk. Here, we will discuss the impact of termite infestation on construction that uses timber as the main building material. Termites are a major issue for traditional timber construction because certain species look to wood as a food source, and can quickly colonise and damage wooden structures. Termites can go undetected until signs of damage are visible, and they can quickly hurt a building’s structural integrity. Worldwide, termite colonies are resilient and hardy, and they will continue to be a severe threat to wood-built construction. 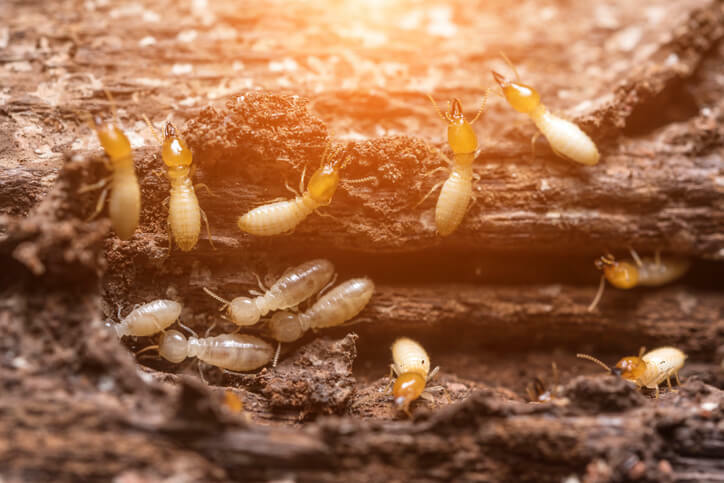 In the United States, termites are responsible for more damage to both residential and commercial buildings than floods, fires, and catastrophic weather events put together. Termites cause more than US$5 billion in destruction every year. While many species are subterranean, the Formosan termite is very aggressive in Hawaii and the tropical Gulf Coast region of the US, and can attack building structures from the top down. Infestations of termites are also a critical problem in Australia. The insects are estimated to cause near AUS$1.5 billion per year in residential damage alone, a figure that includes pest control and repair costs for more than 100,000 Australian homeowners. The cost burdens of the termite infestations in the US and Australia, mentioned above, are representative of those faced by many countries all over the world. Building with cold formed steel (CFS) is a reasonable, practical way to avoid the costs of termite damage. CFS as a building material prevents destruction caused by vermin, the need for chemical treatments that can pose health hazards, and the cost of pest control. Using CFS framing helps to ensure a strong, very long-lasting final product that prevents termites from weakening a building’s overall structure. And, steel is not prone to any of the drawbacks of timber, including wet or dry rot, warping or burning. All of this makes CFS useful for long-lasting residential and non-residential buildings anywhere. The International Residential Code (IRC) suggests that CFS is a recommended termite-resistant alternative to wood for home construction. These guidelines are also useful for non-residential works projects, as CFS promises a ‘healthier’ building with no chemical termite control needed. Termites are a costly burden on construction, one which can be avoided with the use of cold formed steel. Using CFS in low and mid-rise construction projects will prevent damage by termites and other pests, and limit costs from the beginning of a project to many years into a building’s lifetime.